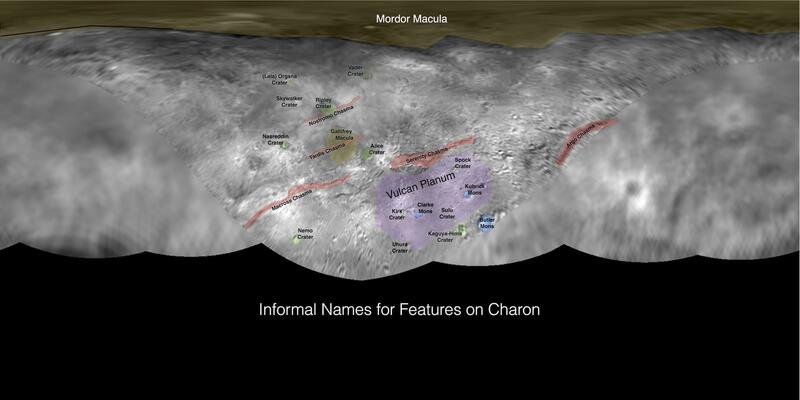 This image contains the initial, informal names being used by the New Horizons team for the features on PlutoÃ¢â‚¬â„¢s largest moon, Charon. 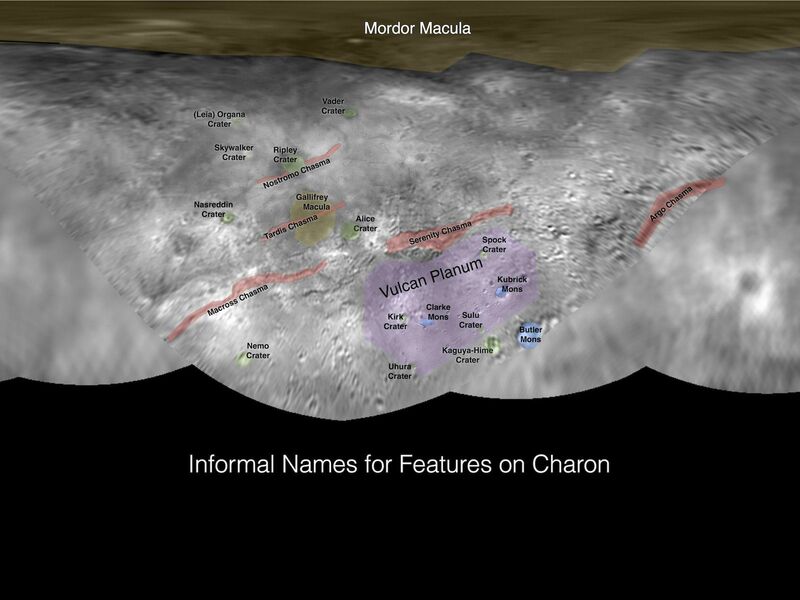 Names were selected based on the input the team received from the Our Pluto naming campaign. 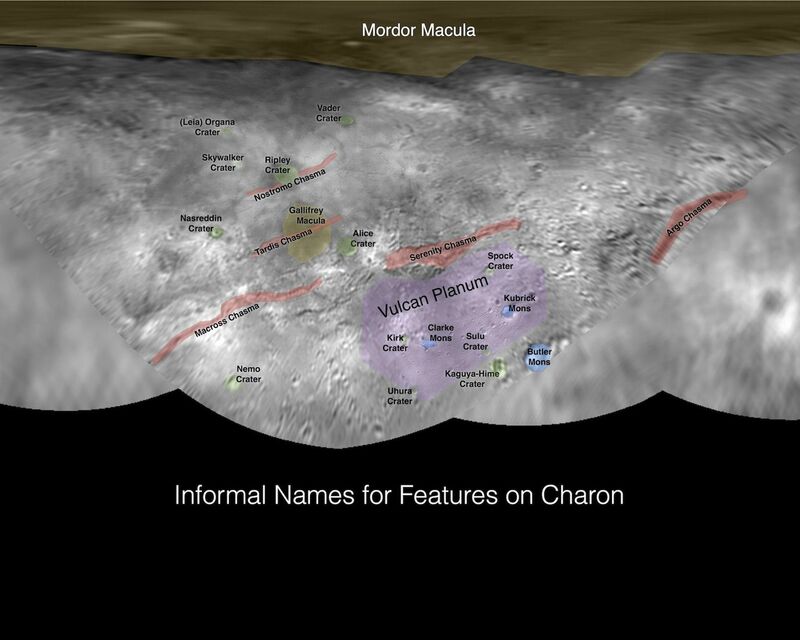 Names have not yet been approved by the International Astronomical Union (IAU). For more information on the maps and feature naming, visit http://www.ourpluto.org/maps. 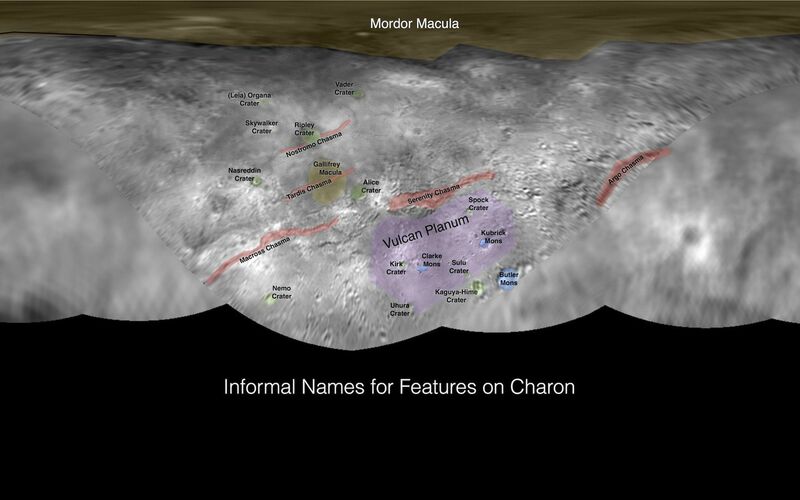 Click here for a PDF version of this map.